You can now own your very own autographed copy of each of Brian Stanley's hit stage plays The Heart of a Fortune Cookie, The Judge's Personal Dilemma, A Time for Understanding and The Anchored Man. For the low, low price of $5 you will receive the stage play, cast interviews, behind the scenes footage and so much more. 708.557.PLAY (7529) or below via PayPal. The Judge’s Personal Dilemma (7/2009) is a life changing love story of a career driven woman (Michelle Shelton-Huff) who has to face the reality of decisions made in her professional life that disturb the long sought after peace and happiness in her personal life. Also starring Stacey Buford, Sharon Elliott, Kevin Thibo, Larry Green, Frank Collaso and introducing to the stage Steve Capers as Myles. This DVD, features comedy by The Destined Legend “Leon Rogers” as well as bonus features by Indept pictures www.indeptpictures.com with sneak previews, cast interviews, back stage access and so much more. 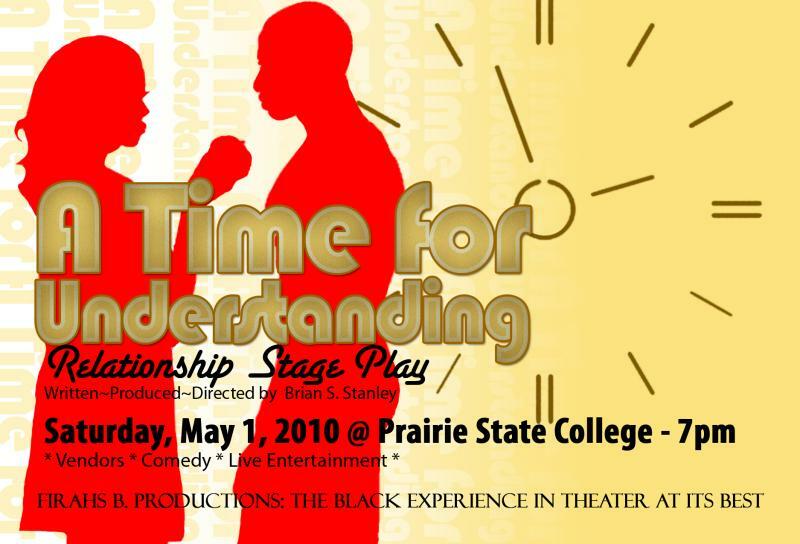 A Time for Understanding (5/2010) a heart-warming, roller coaster thrill ride of emotions, drama and comedy put on by Chicago ’s most talented actors. 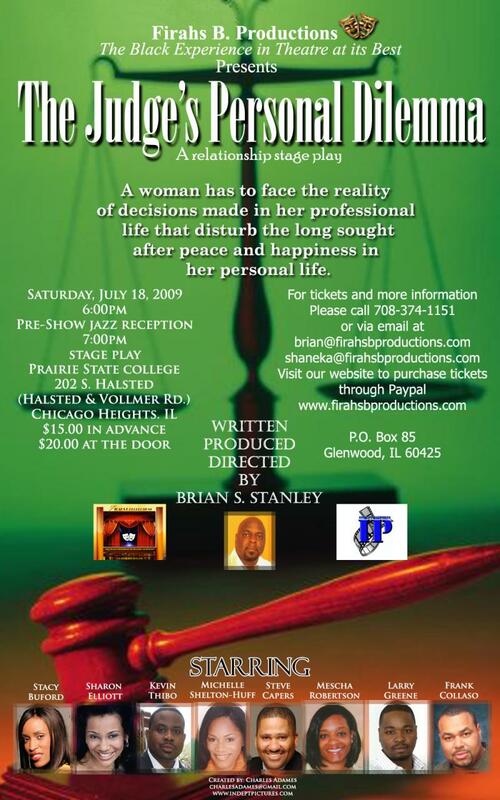 This is a true to life relationship stage play about understanding the complicated balance of family, work, love life, long distant relationships, secret obsessions and spiritual values. This ensemble of actors features Michelle Shelton-Huff, Kevin Thibo, Dwain Lytle, Mescha Robertson, Troy Pryor, Kim Matthews, Stacey Buford and the stage debuts Angelic “Carloz” Carr, Dazayah Walker and Nicole Holloway. “Stan the Man” special promotions by Mike Watson of Music lives beyond www.musiclivesbeyond.com as well as audience reviews, back stage access, directors commentary and so much more. 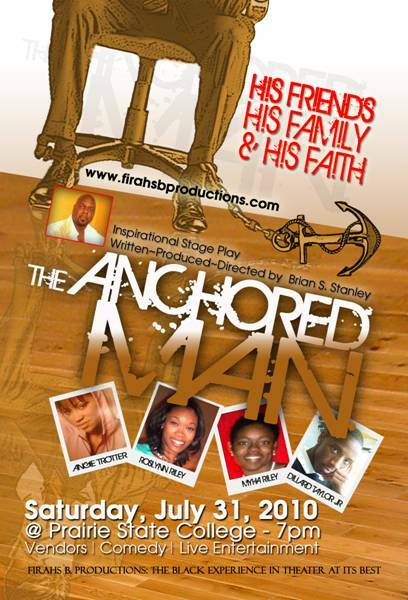 The Anchored Man (7/2010) This inspirational and moving stage play is about a popular man accused of a crime who learns and witnesses the value of being anchored by his friends, his family and his faith. Starring Dillard Taylor, Roslynn Riley, Michelle Shelton, Patty Kennedy, Herbert House, Myha Riley, Carl Weatherspoon, Chioma Nwogu and Gabrielle McCoy. Featuring the music of Victor Gulley and Amethyst Moye. "Brian, I just wanted to congratulate you on your play. It was very well written and quite entertaining! I hope it takes you far, because you should be commended for following your dream and making it into reality. And it does not hurt that you have a wonderful, supportive woman like Shaneka on your side! I wish you continued success, and offer you my support as you take your talent further!"